At 200 pages, this visual treasury is filled with interesting LEGO creations built by fans. There are lots of cool stuff to build, provided you have the parts. But you don't really have to build it exactly, and because of that there's no building instructions. The book's goal is to give you ideas and and does so by giving lots of pictures. Everything is beautifully laid out. There are ideas on building planes, vehicles, spacecrafts, medieval castles, to even chess sets. It says on the cover there are 500 ideas. 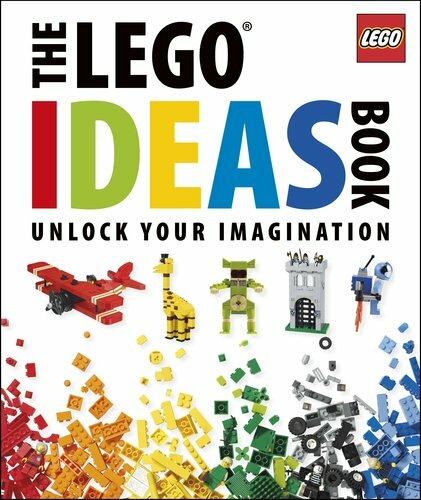 This book should be able keep LEGO builders occupied for a long time. This is really cool and at an affordable price. On a side note. Parka any idea when you can post a review on Brian Bollands new DC covers book? I didn't order Brian Bolland's book so I think the review for that would probably be in December unless I see it at the local bookstore. Thank-you for the GREAT review on the Adam Hughe's "Cover Run" book. I have a question, does the book have a full page color spread of the Mexican Wonder Woman from the "Just Imagine Stan Lee's Wonder Woman" comic book? Adam Hughes did the back cover art that shows Wonder Woman in this AMAZING new costume slashing through the jungle. Much appreciated ! Thanks Parka. I'm looking foward to it.